This isn't necessarily fancy, but the Lions are doing what they need to do in order to beat the Bucs. The first thing is taking care of the ball. The second is taking it away. It's been pretty methodical so far, just what the doctor ordered, so to speak. The facemask penalty on Jason Jones was costly, though. 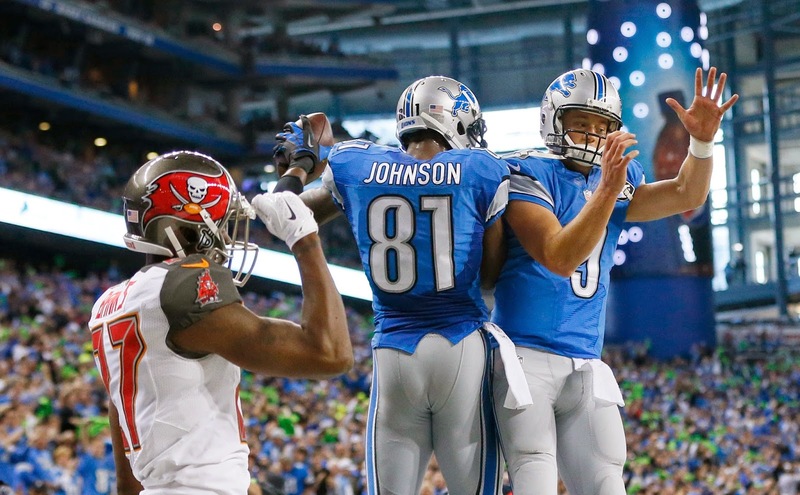 It doesn't feel like the Lions have lost control of the game, however, despite the late TD by the Bucs. - The Bucs are a classic example of how important quarterback play is in the NFL Josh McCown got a lot of cache for how he played for the Bears last season when Jay Cutler, and Lovie Smith obviously liked him from the time he was there. Personally, I think Mike Glennon is much more threatening. Obviously, the Bucs will be looking to take a QB in the upcoming NFL Draft. Just wonder who will be at the head of the list, and whether they would even consider Jameis Winston, while weighing his enormous talent against his excess baggage. - I have long thought DeAndre Levy is the most underrated player on the Lions, and perhaps this town. But it might be Glover Quin. Having two quality safeties has made all the difference in the world for the Lions. James Ihedigbo is a way better player than I thought when the Lions signed him. - Ndamukomg Suh's tackle with just a little more than two minutes left in the half was his first since there were four minutes left in the New England game. He negated it with a roughing the passer penalty on the next play.